Our Georgia bankruptcy practice provides legal assistance to our clients, including Chapter 13 and Chapter 7 bankruptcy filings in Georgia. We cater to both consumer and business clients throughout Georgia and can also assist clients with IRS matters. Are you facing bills you can no longer afford to pay? Are you concerned creditors are about to take legal action against you or have you received notification legal proceedings have begun? Could you lose your home or business because of your financial challenges? Living with the constant threat of creditor harassment makes life miserable. Debt collectors will do everything they can do legally – and sometimes illegally – to force payment. Nothing is worse than living with the constant phone calls and text messages that are part of an unpaid debt. Creditors contact your family members, employer, landlords, and anyone else they think might lead them to you and the money you owe. It’s embarrassing, frustrating, and downright demoralizing. Luckily, there is something you can do to stop the harassment and get your financial life back under control. Filing for bankruptcy puts an end to creditor harassment. It also stops legal proceedings, including foreclosure, caused by your unpaid debts. Much of the strife you face on a daily basis will come to an end the moment you file for bankruptcy. Financial problems should not cause you embarrassment or shame. Most people face financial struggles at one point or another in life, and for many these challenges are serious. Financial issues can take you by surprise. And though consumer debt can lead you down a debt-filled path, other things out of your control, such as medical emergencies, can also wreak havoc on your finances. Even the most responsible people sometimes face the decision of whether or not to file for bankruptcy. When you choose to file for bankruptcy, you have several options. Chapter 7 and Chapter 13 are available for personal bankruptcy. You have additional options if you are a business owner. Bankruptcy can eliminate debts entirely or create a manageable payment plan that allows you to meet debt obligations over an extended period of time. A bankruptcy attorney can help you determine which is right for you based on your income, your assets, and the amount and type of debt you owe. A bankruptcy attorney also helps you navigate the complicated bankruptcy system. Bankruptcy laws change frequently and just a single misstep could result in the dismissal of your case. A bankruptcy attorney ensures paperwork is accurate and submitted on time, and coaches you through some of the most intimidating aspects of bankruptcy, such as the meeting with your creditors. If you want to learn more or you believe filing for bankruptcy in Georgia could be the best option for you, give us a call. 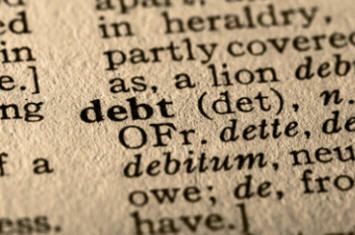 We’ll schedule a free consultation to discuss the benefits of bankruptcy and whether or not you are qualified to file.